Okay, so I sometimes read this fabulously addicting blog called It's Just Me, Drazil, & Sheniqua (seriously, this blog is fralipping amazing)... and sometimes when I venture there on a Friday (or not on a Friday, but backpeddle to previous posts that land on Fridays) I see entries with the title "BYOC - Bring Your Own Crazy!" The BYOC entries are all about answering 5 questions about yourself so that people can get to know you better and whatnot. I'm always entertained by the answers I see on other peoples' BYOC posts, and I've always wanted to do one, or a few, of my own... so here we go! It's Friday, I'm at school super early, I have time to kill... I'm gonna bring my own crazy to the table! I have heard of those online credit score things and, while I love the Internets with all my fluffy hearts... I am wary of things like that. Especially when said sites hook up with those survey scam sites... the friends say a lot about a person, right? So partnerships between websites say a lot about them, too. Well, then again, Netflix also pops up on those survey sites. Oh wait... that explains a lot. For the record, I happen to know that both of my parents have excellent credit scores and people love to finance things with them. And my mom's is better than my dad's. 2. What’s your go to “water-cooler-off-er” each summer? Small kiddie pool, “real” pool, sprinkler, public pool, hotel pool, or stay inside in the air and never don a bathing suit ever? ICE. COLD. SHOWER. Okay, lying about the ice part. And the cold. Well, I finish with the cold. I like to get into a lukewarm shower for starters, no matter how death-defying hot I am, because I'm not really into that whole shock factor. After I get used to it, I gradually change the water colder and colder until it's just where I want it. And for the past couple of Summers, our air conditioner has been broken, so... OMFG house sauna! My dad loves it because he's cold all of the time, and my cousin isn't that bothered because her body temp is like unnaturally always just fine for her. And my brother... he's bipolar about it. But my mom and I just DIE in the heat. We have a bunch of floor fans, a ceiling fan in the living room, and a portable A/C in the hallway... and windows. And I kind of got off topic because I'm a little emotional about the oncoming onslaught of torrential hell-heat. Yeah. 3. Describe your phone cover…if you have one. A magic cloak of invisibility. :D I don't have one. 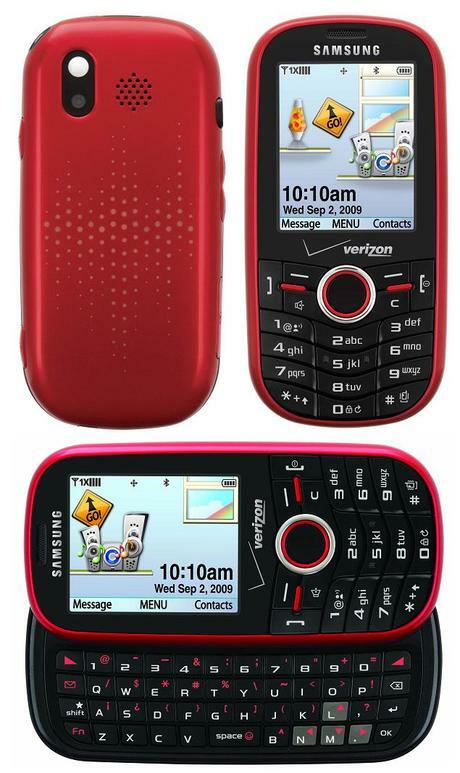 I have one of those dinky normal-ish phones with a QWERTY keyboard, and it's dumb, not smart... it is this one right here: It's red, though. And the red is purdy. And I like my QWERTY buttons. I still want a smartphone. Oh, and did I mention my entire family has this phone? My parents, cousin, and my brother all upgraded to the same. Exact. Phone. It was a deal. But then my brother got some fancy, nice smartphone, so now we all don't match anymore. D: Traitor! :) 4. If you ever had a wedding, what were your colors or theme? If you aren’t married – but plan to be some day – what will your colors or theme be? Hmm... colors. Well first, let me preface this by saying that I want it to take place in a sort of ancient old-fashioned ethereal sort of way. A celebration spanning a few days, maybe a week. Main setting on a beach, but not in that cheesy Western kind of way. I want there to be upholstered seating, canopies, and lots of white, cream, purples, etc. Pillows and stuff. I want there to be lots of colors... like the way Indian weddings are. Indian weddings are SO beautiful & colorful! I love watching Indian wedding ceremonies on Youtube and Vimeo. :) So purdy. Monday I had Motion Graphics and our final for that class is to create an opening motion graphic for my school's upcoming Next Talent Awards. Tuesday I had Sound Design and our final for that class is to work on a trailer or scene from something and recreate all of the sound elements (sound effects, dialogue, music). So, the past couple of weeks have been organizing, trimming the fat, discussing, explaining, etc. And this past Thursday I met with my classmates and honestly, I was stressed. I had to re-organize some people because some other people weren't there. Some people did not know what was going on, even though everything was explained the previous week and several emails and posts on our class' Google Groups have been sent back and forth. This Saturday is Second Saturday at Downtown Sacramento, and my guerrilla marketing team is planning on have a sort of soapbox approach downtown to generate awareness of congenital heart disease, and the charity we are promoting, Abbey's Wheel Deal. We don't have our signage made yet, but I sent all the signage info to my guerrilla team, so I hope we get them completed and ready to pass out and display tomorrow! I'm nervous. Our final marketing and promotion package is due in 6 days. We have to have our PSA video, viral videos, guerrilla campaign, new website design, and social media package all done and ready... tied in a neat little bow for our client. PHEW. And on top of it all, I'm trying to get finals done for other classes, trying to get some writing done, trying to stick to a more strict grain-free, low-carb diet (I've faltered a lot), and trying to start working out again. There's also a little side project that I've been doing for a local musician, but more on that later.